There are no roads between panama and colombia, at least not reliable or safe, and definitely not paved or gravel. this area is known as the Darien gap. Walking is an option for the super adventurer but not for anyone normal. So you can gonly by boat or fly. 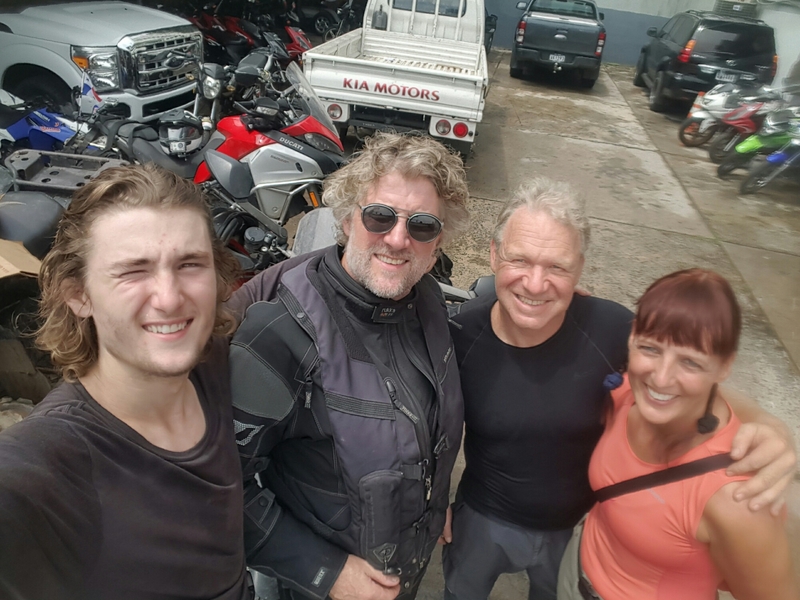 loading the heavy bikes on a sailboat and taking a week to get to cartagena colombia sounds great and is cheaper, but we opted for the quicker easier to plan route….flying. 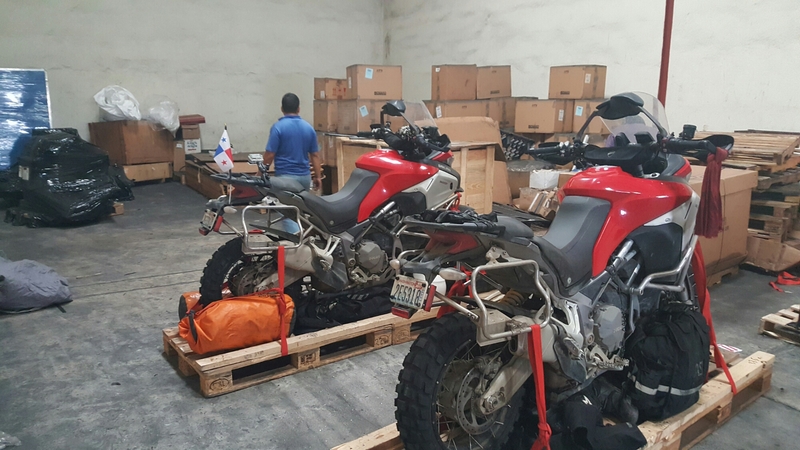 Palletizing the bikes in panama. 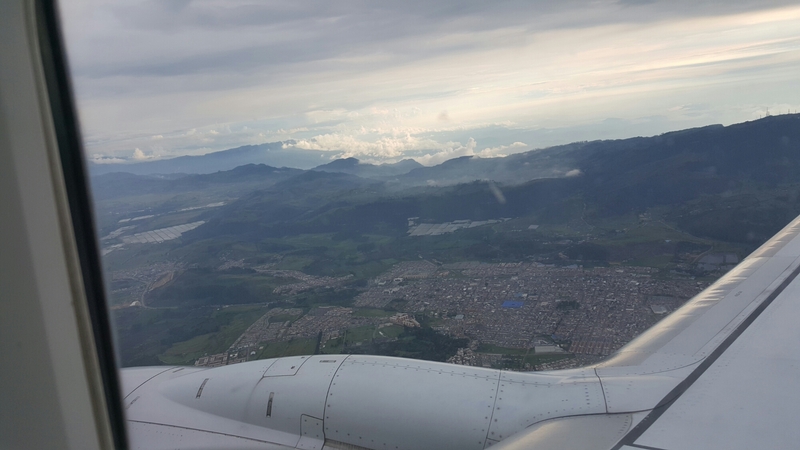 Flying into bogota. 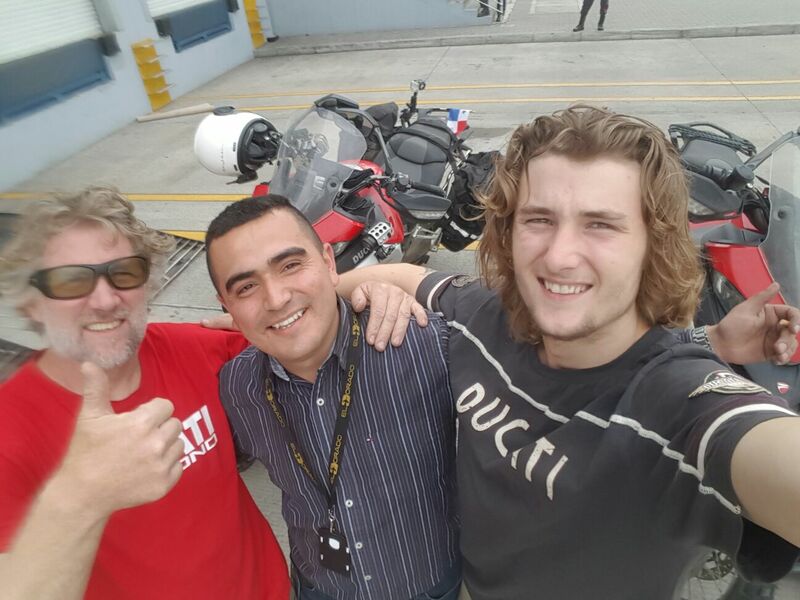 maxxx and I flew Tuesday from panama and the bikes fly out on Thursday morning. Fly time is one hour thirty five minutes. 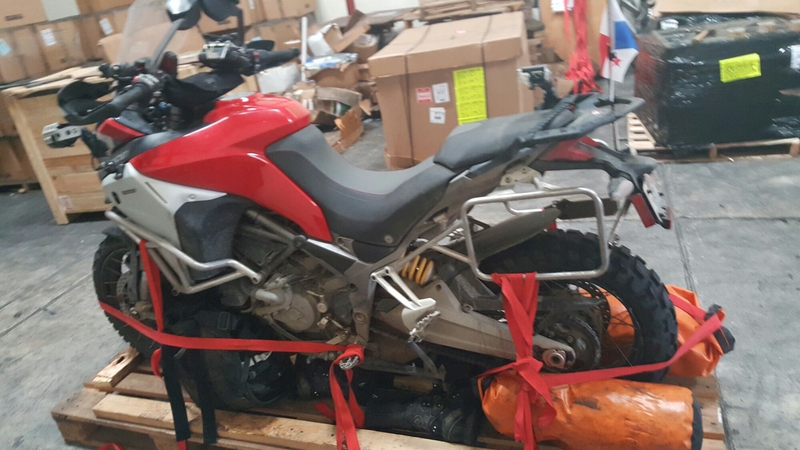 We had a lead on a cargo shipper from panama for the bikes and got a quote from them and we’re going with it, then we met a couple from Germany on a ktm bike similar to ours going from Alaska to ushuaia argentina, they recommended servicarga a couple doors down. Saved us a few hundred bucks. a day later when we are palletizing the bikes here comes Gerhart on the KTM, up the ramp and into the receiving section of the warehouse. Their bike will fly with ours, our paths cross again. this is when we met, at the shop we had our rear tire replaced. I also loaded an app that allows me to update here via my phone. convenient since all our gear is with the bikes. and apps seem to work better on wifi then computers. 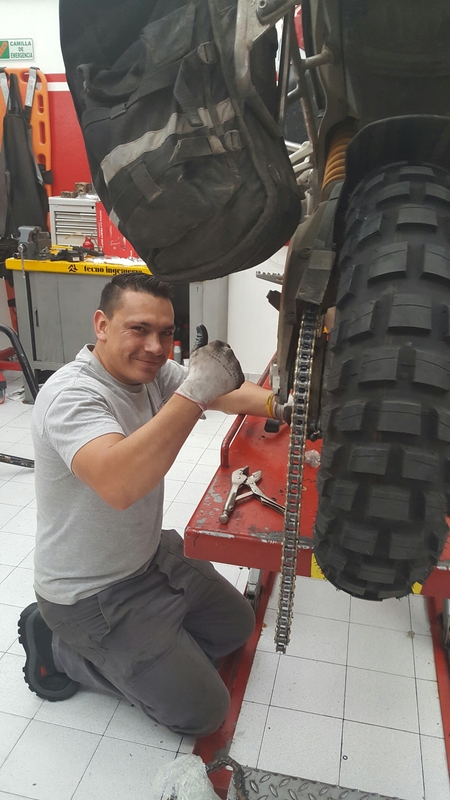 Stopping for chain replacements, parts are harder to find and more expensive to buy, $200 chain in us is $320 here, labor is less then half though. Bogota is a very modern and safe feeling city. well dressed, think Italian style, suits and casual wear. people feel very approachable. Lots of motorcycles and cars going through the streets, max speed is about 30 mph, but is moves much slower. lines in roads and stop signs meen nothing. it’s get where you can without hitting anybody. lots of people walking to get to the next business or taxi.. very few dogs, but their on leashes. There seems to be a motorcycle culture here. 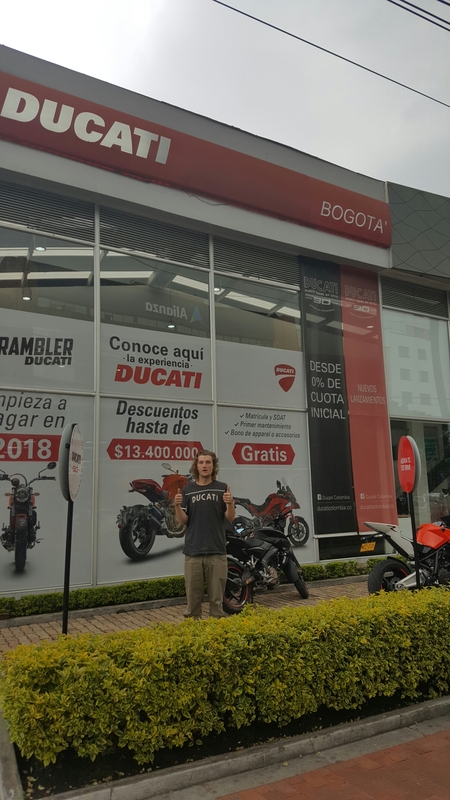 Other countries seem to moto because their cheaper and easier to get around, bogota has that too, but there’s another side that some in bogota embrace it as a lifestyle, a culture. Clothing style, helmet style, an attitude. it’s fun to see. There is a large percentage of women riders too. I would guess a third of the moto riders here are women, if not more. all bikes are mostly small size engines, like 125 or 250 cc engines compared to our 1200 engines, but the physical size of the bikes is bigger then we’ve been seeing. Looks like a large size bike with a small engine. Old salt min turned into a church. 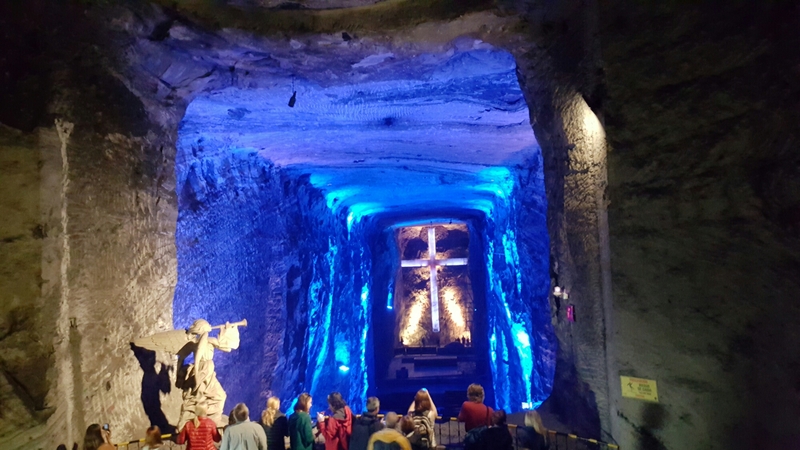 Catedral de sal. Didn’t get very far today. We are getting some offroad in. one road we came across a gate and had to backtrack and find another way north. We are starting to see ponchos worn by locals in the countryside for the first time. 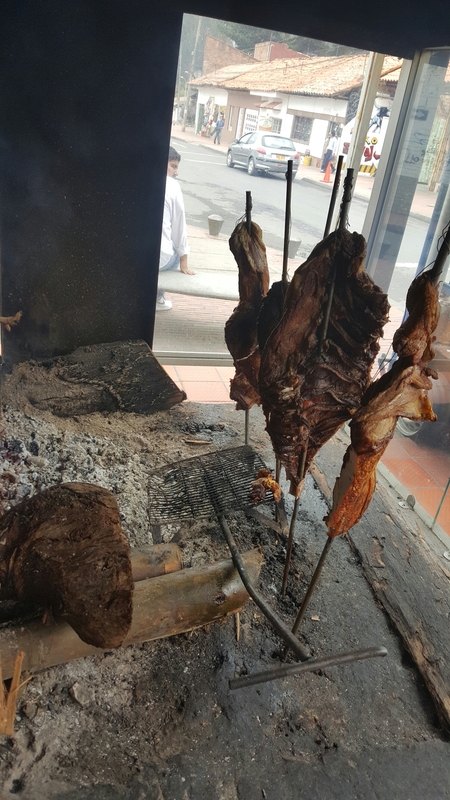 We also noticed more kis sing in public in bogota then anywhere else on our trip, I guess they are affectionate people.